Saw the first Farmall of SPRING today!! Nice Farmall! You didn't get near the snow we in E SD did. But the freezing rain and crazy wind wreaked havoc on power poles. I hear there are still some people who do not have power restored yet. Regular? I would like to find steel wheels to put on my 1928. Thanks for sharing a beautiful photo. We bought our rear steel on ebay with local pickup. Bought the front steel from Biewer's Tractor Salvage in Barnesville, MN... and had them shipped to our place. Fronts cost significantly more than the rears. We hope this is the last of that white junk too. Yuck - just sick of it! 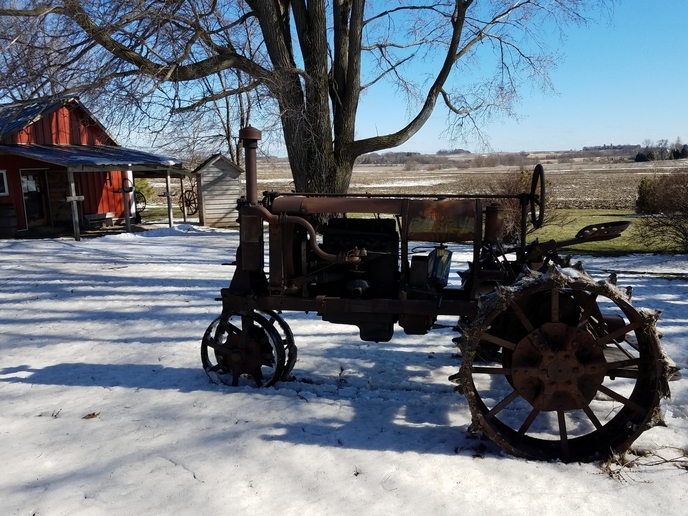 (quoted from post at 14:53:04 04/14/19) Saw the first Farmall of SPRING today!! and heD back into the WARM house. Thanks. It's our favorite one... and our only rusty one. Its a beaut! !Thanks for the great picture! !